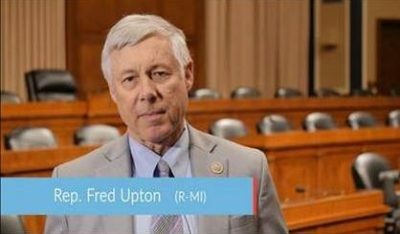 Congressman Fred Upton says lawmakers need to finally get the nuclear fuel repository at Yucca Mountain in Nevada open. He says the need was made more urgent to him by a visit this week at the Cook Nuclear Plant in Bridgman. “I learned they’re about ready to add another dry cask for dry storage of their high level nuclear waste,” Upton tells WSJM News. He says scientists have determined the mountain range in Nevada is the safest place on the planet to store the nuclear fuel, and says it has to be removed from the shores of Lake Michigan from both Cook and Palisades. He says a bipartisan bill has passed the House and is waiting for action in the Senate after talks to move the fuel out west began when he was working as an aide to President Reagan decades ago. Upton says for years, former U.S. Senator Harry Reid of Nevada successfully blocked efforts to move the spent fuel to that state. He says with Reid retired, it should be able to be passed much easier.